I read in FM world magazine (7th May edition), that employers are failing to offer workers a healthy lifestyle. According to the Virgin Pure survey, only 28% of those surveyed said their employers offered support to eat or drink healthily at work. This is interesting, a high street caterer recently told me that when they calorie counted their items, their sales dropped on those items, even though it was labelled as a healthy choice. What do these mixed messages say about healthy eating in the business environment? In bartlett mitchell, we always say that healthy eating is aspirational – it’s not the reality of choice. People always think that they want to eat healthily, however to get the till ringing – no matter how great your healthy food may look – you probably have to have what people want to buy in reality. So, who is responsible for making people eat healthily? This decision must come back to the people who make the choices; our role is to make sure interesting healthy choices are available and obviously the more they buy, the more often it will be featured and therefore, a greater the choice will be out there. 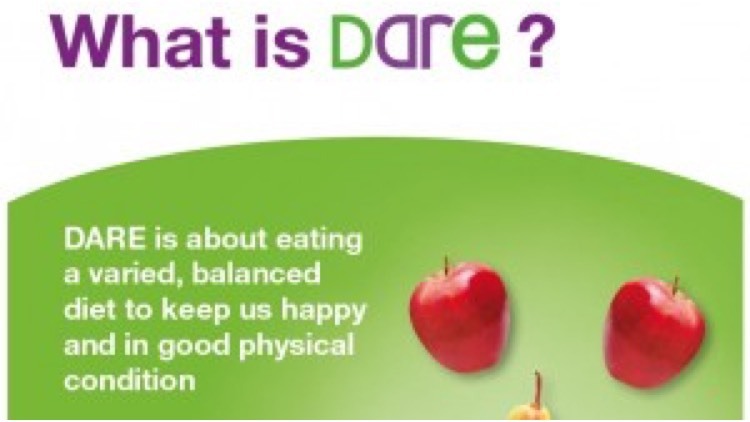 So taking all this into account, bartlett mitchell decided to take the responsibility equally with the customer, and the client, with our DARE campaign “Delicious And Responsible Eating”. This allows educated choices using the right information and a delicious selection. It’s not advertised as healthy, so therefore maybe not ticking the healthy choice box as there is no ‘healthy’ label but it’s about a choice based on knowledge and for the right reason and everyone taking some part of that responsibility.